Stay connected in New Zealand when travelling. With so much epic scenery, wildlife, and #nzmustdos, backpackers can’t resist sharing their travels on the Internet. Having access to the web is the way people usually stay in contact with home, whether it’s taking travel selfies for Instagram or Whatsapping friends. However, compared to many other countries, Internet in New Zealand is shoddy! There are so many remote areas where there are no network service. Also, decent free WiFi hasn’t really hit off over here… So how to do you get Internet and WiFi in New Zealand? Alas, all is not lost! You don’t have to feel like you’re living in a cave while in New Zealand. You just have to be more aware of how to find Internet and be prepared to pay a little for it. When you get to New Zealand, your life will be so much easier and cheaper if you get a New Zealand sim card for your phone. Not only will you stay in touch with friends in New Zealand for less, but you can use network data to access the Internet. If you are social media crazy, are forever getting lost so need Google Maps, or want to take advantage of recommendations from other travellers on the Breadcrumbs app, make sure you get a phone plan which includes a lot of network data. This will also be your saviour if you are staying in a hostel with expensive WiFi. For a full comparison of the New Zealand phone networks and their plans, dive into What are the Best Phone Networks in New Zealand. For connecting other devices to phone’s network, set up WiFi tethering on your phone. This is a pretty standard tool on most smartphones. An onboard WiFi box can be purchased for campervans and cars. They are good for connecting multiple devices, however they are quite expensive and, just like phones, only work when there is mobile signal. It is better to use a data plan on cellphones and tablets. One of the selling points for a lot of New Zealand hostels is “Free WiFi”. That’s because they know how hard free WiFi is to find! However, don’t expect a super speedy connection with free WiFi. It’s often unlikely going to work when Skyping your mum or uploading a ton of photos onto Facebook. Sometimes it is worth paying a little for good WiFi. It’s usually cheaper to pay over a period of time rather than per MB. One Internet service worth having if you are staying in Base or Nomads hostels is Global Gossip. You can either pay NZ$4 for 24 hours or NZ$12 for 7 days. This means you can connect to unlimited WiFi at any Global Gossip hotspot within that time period. Additionally, if you get yourself a YHA membership, there’s free WiFi at 25+ YHA hostels around the country. 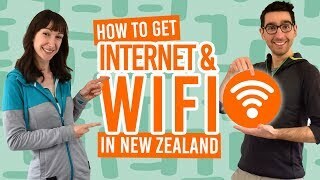 The best way to get WiFi in a New Zealand town or city is to buy a coffee! Many cafes have free WiFi that is decent enough for uploading photos and videos. Some cafes have time or MB limits on WiFi. Also, internet cafes are an obvious solution, be prepared to pay NZ$3-NZ$6 an hour. Spark customers on a pay monthly phone plan can use the 1000+ free WiFi zones all over the country. Auckland: Search for “AucklandWiFi@Tomizone” while cruising around Auckland central! But if you want specifics look here. Wellington: Search for “cbdfree” for WiFi over much of Wellington CBD. Find locations here. Christchurch: For the CBD find “Trade Me FREE WiFi”. For free WiFi cafes, see here. 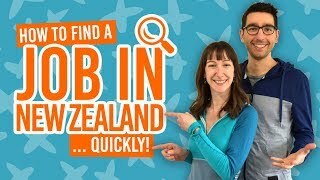 For more places to find WiFi, check out 10 Free Wi-Fi Spots in New Zealand Where You’ll Actually Have a Good Connection. 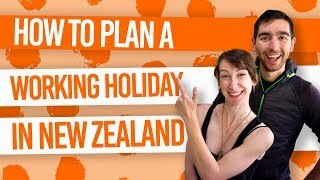 If you are on a working holiday in New Zealand, chances are you will do some flatting to save money on accommodation. For unlimited broadband, expect to pay NZ$75-NZ$110 for a 12-month contract. For 40GB it is around NZ$75 for 12 months. There is a budget option at the sacrifice of a slower download and upload speed. NZ$40 for 50GB, NZ$50 for 100GB, and NZ$75 for unlimited. However, if you are not planning to flat for a whole 12 months, which is the case for most backpackers, then we suggest getting a data-heavy phone plan and using the WiFi tethering off your phone. Other places you can find free WiFi. Some have good connections, others not so much.